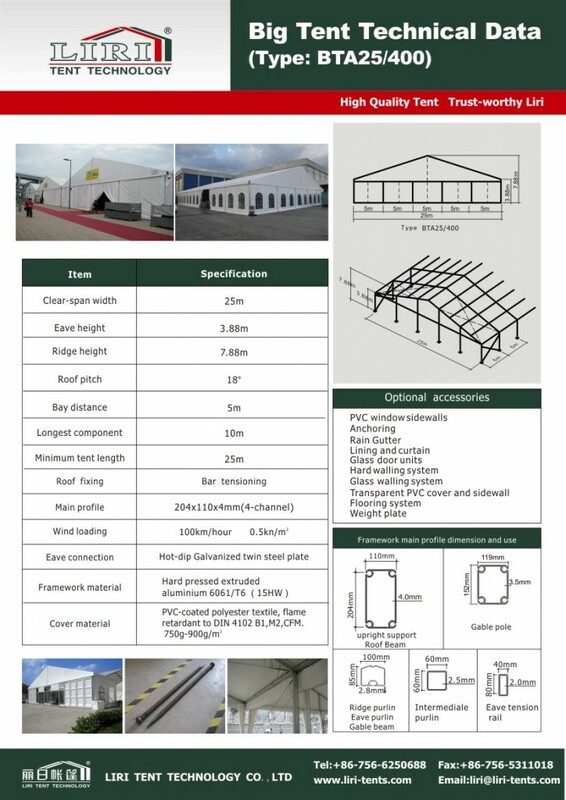 Zhuhai Liri Tent Technology Co.,Ltd. is the biggest and most professional manufacturer in China. 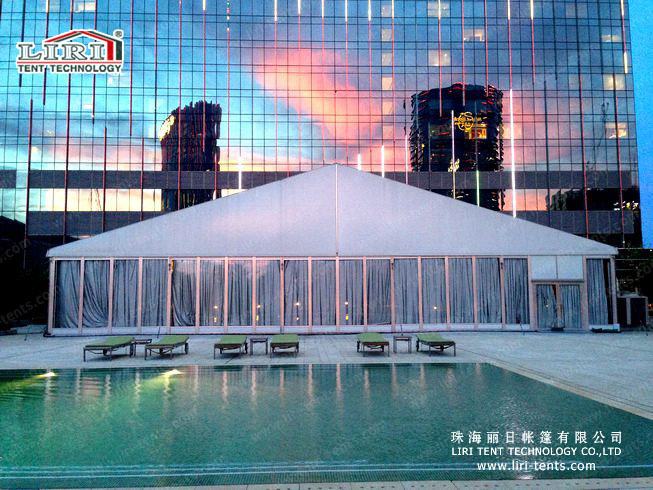 The luxury Event tent 20m or 25m with PVC roof cover and glass door from Liri Tent for catering party, trade show, sport event, conference, wedding event, it can make your event more impressive or elegant. 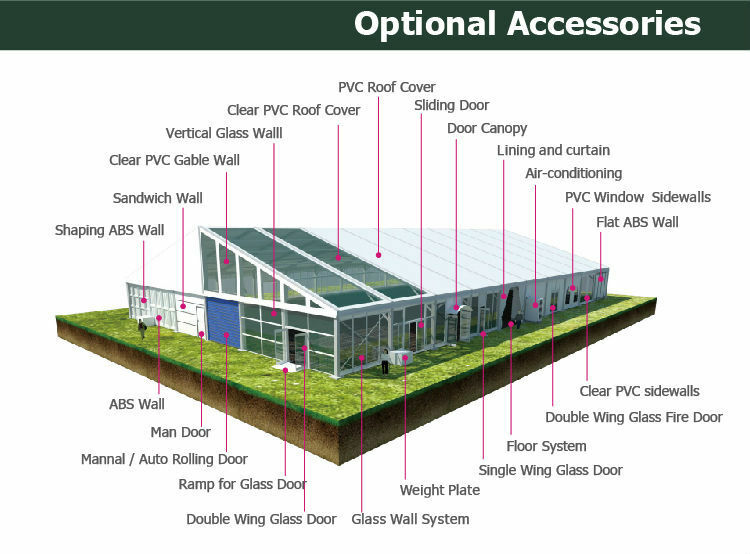 What’s more, the large clear span event tent with PVC roof cover and glass door can be changed . You can choose other accessories you want. Event Tents are a modular design which can be increased or decreased in 5m. It is easy to assemble and dismantle as well as convenient to store because of its small volume.